Working in a regular clinic or hospital may be suitable for some, but many medical professionals choose opportunities available within VA clinics and VA hospitals. In fact, there are many opportunities available and needed to care for those who serve our country. Several factors have led to shortages in medical professionals working at VA clinics across the country, but there are plenty of reasons why you’ll want in. 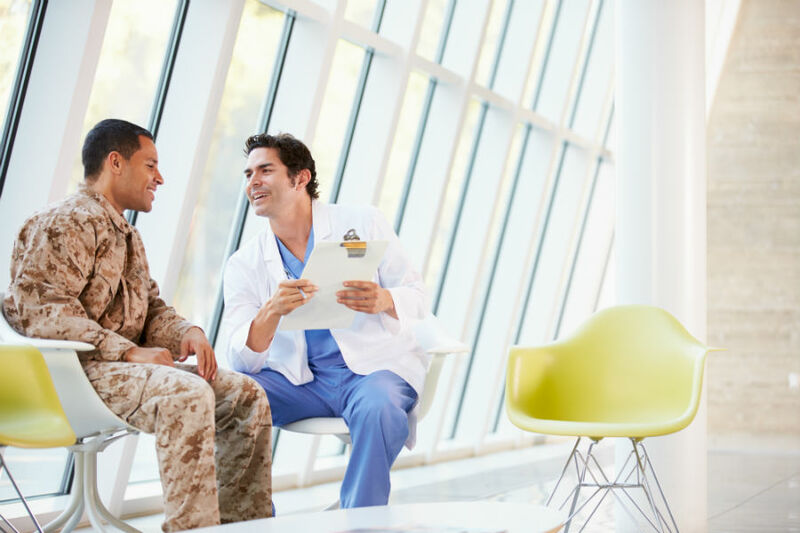 A major advantage to working at a VA hospital is the ability to practice medicine and focus on your career without the distractions of running a business. When you transition from a traditional medical clinic to a working at a VA clinic, you’ll realize that you won’t have to build a client base and try to increase revenue while spending all of your time with administrative tasks and working from dawn to dusk to do so. Working temporarily or on a contract does not equate to unstable or unreliable work. Today, pursuing contract opportunities mainly means that professionals in the medical and healthcare fields can achieve the work-life balance they’ve always wanted (but may not otherwise have gotten from working in a typical medical clinic or hospital). It also means they can work any location they choose. It’s time to earn a competitive salary while working on your own terms. Working at a VA clinic or VA hospital can make an even bigger difference in the work you do because you’re serving those who have served our country and its citizens. You’re serving the nation’s heroes and their families. Not only are you in a career field that centers and focuses on patient-driven care, but your work is proving to be meaningful, fulfilling and rewarding on many levels. Working at a VA clinic – especially when you partner with JIT Staffing – allows you ample work-life balance. Unlike many other medical field positions, you won’t be frequently on-call and you’ll have a more predictable work schedule that is usually set before you even enter the position. Oftentimes, medical professionals working at the VA get to work Monday through Friday. Additionally, a benefit to working for any organization that is associated with the federal government means you are eligible to receive time off during federal holidays. When you work any position while being contracted through JIT Staffing, you’ll be eligible for many other benefits, which can be found here. Working at a VA clinic provides professionals within the medical field with many benefits, including the unique opportunity to work in a rewarding career for themselves and to serve those who have served our country. Just In Time Staffing focuses on the placement of nurses, allied health, technicians and medical administrative personnel on contract assignments nationwide. The partnerships established to allow them to provide opportunities for medical professionals across the country in a variety of settings. Our staff understands the needs of our clients and federal contracting regulations, and it’s our mission to find ideal matches between medical personnel and rewarding career opportunities. Contact us today to find your next career opportunity in the medical and healthcare industry.